Yorkshire playing in York, Notts a full county match at Welbeck, Hants playing in the IoW! Hard to believe that York hasn't staged a first class fixture since 1890. I was going to say that I don't remember York being part of the circuit before (nearly) everything fucked off to Leeds. Last edited by Kevin S; 27-11-2018, 10:45. Essex to reclaim the crown, with Cook breaking 1500. Essex go yellow with their new T20 Blast kit. I like this. I'm quite excited by all this. I booked the 11th off work yesterday so I can go and watch Surrey's first game. Surrey going well against the MCC in Dubai, 389-4 after MCC made 265 in their first innings, Pope (183) and 18-year-old first class debutant Jamie Smith (123) still both not out..
Pope made 251. Great stuff. 23x4 and 6x6. Surrey 520ao. MCC going well in their second innings. It's cold, grey, early April and the pitches are puddings. Cricket! I don't even have a Wisden yet. Who are Somerset going to finish second to this year? James Vince making a positive start for Hants - there's someone with his eye on one of those England opening places in The Ashes. Luis Reece of Derbyshire was out to the first ball of the new season. I’m going to The Oval next week for either day 1 or 2 of the Surrey v Essex match. Which will be nice for a Middx fan. Didn’t catch any action at all last season. Will keep an eye on the weather before deciding which, but at the mo the forecast is chilly & cloudy but dry both days. 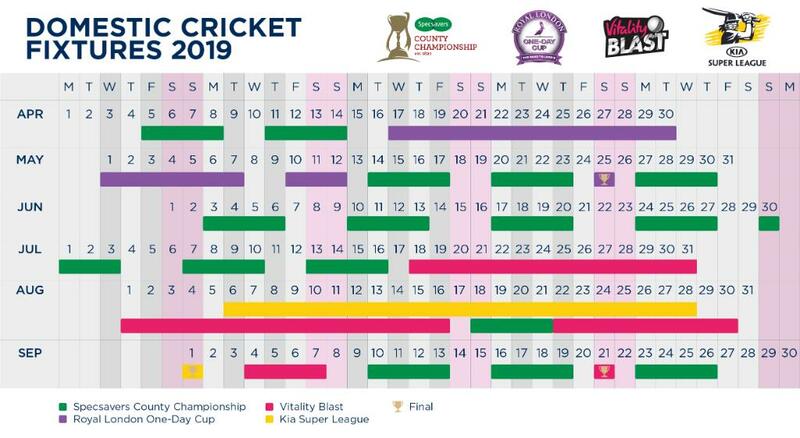 Either all the MCCU matches should be first-class or none of them should be (my preference). No reason why Haseeb Hameed's 218 this week shouldn't count towards his average when Ben Duckett's 216 last week counted for his. Much excitement all around the country on the last day of the opening fixtures of the County Championship. A bit of a queue to get into the oval this morning. I may not be wearing enough layers. Lot of runs around today and a fair few tons. Billy "Joe's brother" Root with an impressive 126 on debut for Glamorgan. Two other Glamorgan players with tons. Some going. All times are GMT. This page was generated at 07:38.